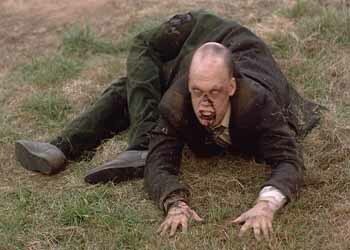 Horror remakes are all the rage these days, so in some ways, the 1990 Night of the Living Dead “redux” was ahead of its time. 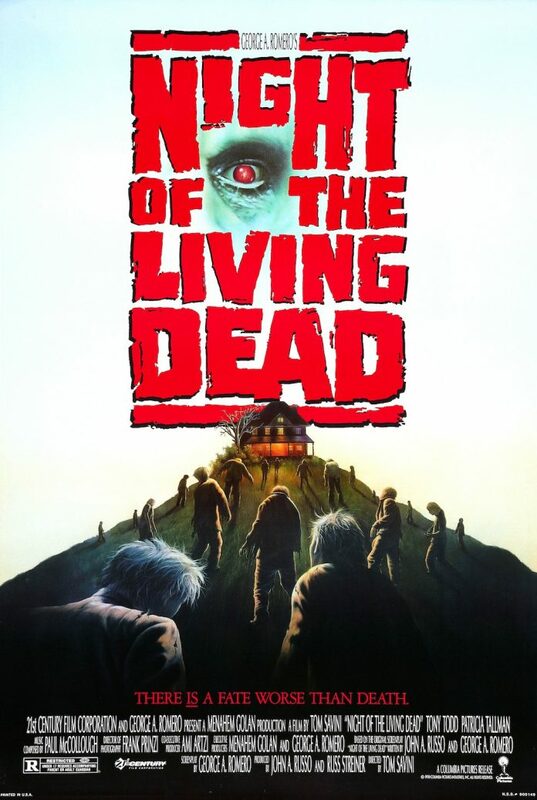 Sure, the George Romero original is a classic, and a remake could never recapture its magic, but this version, directed by special effects legend Tom Savini, is enjoyable in its own right. It maintains the same sense of quiet, isolated terror and the play-like structure of the original, with strong, emotional performances and of course, top-notch special effects. Unlike many of today’s remakes, this film isn’t tainted by sterile computer effects or even more sterile acting from the cast of a WB teen drama. 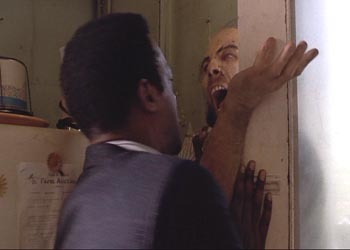 The biggest difference between the 1990 version and the original, though, is the shift in emphasis from Ben (Tony “Candyman” Todd) to Barbara (Patricia “no relation to Phantasm‘s” Tallman). Part of the revolutionary feel of the 1968 film was the racial implication (intended or not) of the take-charge lead character being black. In 1990, it’s not so radical a sight (although still rare), but the fact that the previously mousy, near catatonic Barbara is now the sole survivor and that Ben’s originally ironic (and racially intimated) death is done away with, is significant. I blame George Bush. 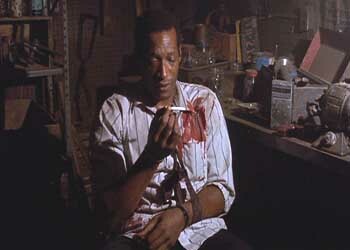 Candyman loves the white women. “Crap. Now I have cancer too.